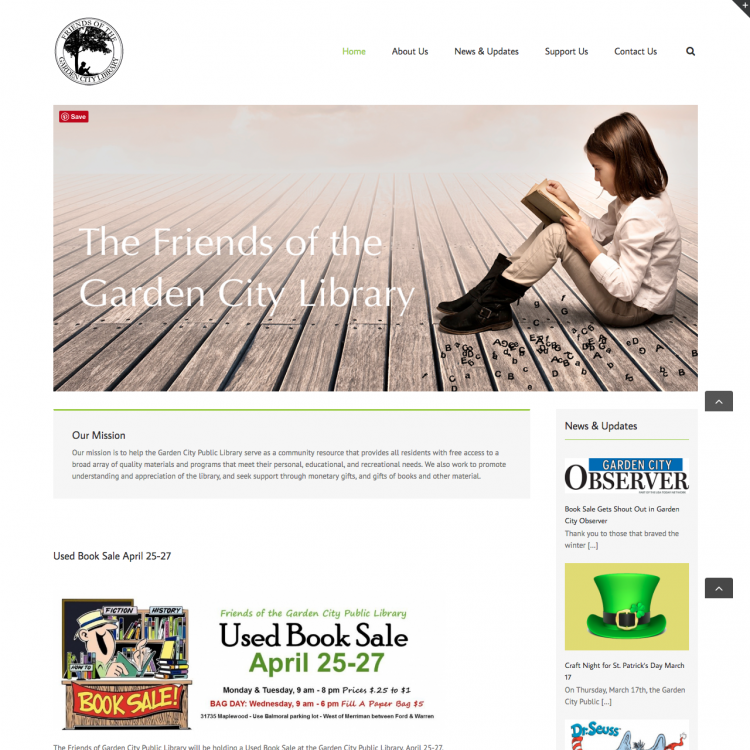 The Friends of the Garden City Public Library website details the Friends’ fundraising activities and community involvement. The Friends have regular book sales throughout the year with the proceeds benefitting the GC Public Library. Palmerworks created the site, integrated a Paypal account for online membership payments and donations to the organization.